PIN PRICK EFFECT is a global peace community. 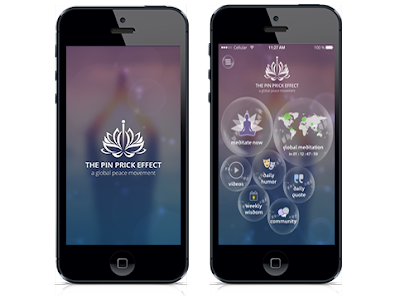 Through this app you will know How to meditate, try a different kind of music for meditation and exact time of each session will be published once a minimum of 8,000 people join this movement. - Meditate to calm your mind and get relieved from stress with a soothing music. - Meditate with different people together across the globe in order to have a feeling of togetherness. - Videos to have a session for brainstorming and changing mind sessions. - Daily motivational quotes on life. - Daily humor to lighten up mood to divert people for some time that helps them to relieve stress. Thank you for informative & really needed a post about meditation.